Testimonies for Julie Reddington an expert real estate agent. We met Julie while looking for a home for my 89 year old mother who was relocating to the Denver area. From the moment we met Julie there was a positive connection. Professionally, Julie is hard working, smart, patient, knowledgeable about the market in the Denver metro area, and connected to first rate lenders and title companies. My mom found the home of her dreams! Sadly, she passed away nine months later and once again we enlisted Julie’s services to sell the house. The first day on the market we received multiple offers and sold the home. On a personal level Julie has such a kind heart, exemplary values, and an awesome sense of humor. We have a realtor for life who we also consider a dear friend! I absolutely love Julie. From the first moment we met she had my best interest in mind. She zoned in on the location that I needed and gave me the best advice along the way. She did all the foot work and did it quick. Since my purchase she has stayed in contact providing me valuable updates on my property value, contractor recommendations etc.. She truly is a different kind of realtor. Julie has helped me buy several homes in the last few years. She is extremely knowledgeable, patient, helpful and professional. In fact, one home she helped pick out for me while I was out of town because she really understood my needs! I highly recommend her. My wife and I’s home buying situation was a bit unique because of what we were looking for and the programs we were looking to utilize. Despite our challenges, Julie knew what she was doing and she made our home buying process fun and easy. I would highly recommend Julie. Julie is the consummate real estate professional. She is patient, empathetic, RESPONSIVE, technically savvy, diligent and tenacious, all while being genuine, kind and down-to-earth. Julie has been INVALUABLE in an out-of-state search and her suggestions have been tremendously helpful in our search. Plus, she has an adorable English accent that has earned her the title of “Your Realty Highness” . Lastly, after the sale, Julie’s follow-up and immense network of service providers and local connections and knowledge have ALSO been a wonderful assistance to us. I am a hard grader, and Julie gets straight “A”‘s, and I’d give her ten stars if I could… HIGHLY, highly recommended!!! One word describes Julie and that is AMAZING! We had looked for a home for about a year before meeting Julie and had about given up until we started working with her. She is prompt, hardworking, smart, and is the only reason we finally are in a beautiful new home. I’m so glad we did not settle for another agent or another home. Julie is the best and she will find you the best! We moved here from the UK 10 months ago and decided to purchase our first home in the USA. This process was quite a tiresome one as we had not been in the USA long. Julie’s knowledge, experience and networks helped the process along 20 fold, assisting us with our mortgage and informing us on the current state of the housing market as well as nice neighbourhoods to live in. We are 100 per cent sure that if we had used a realtor from the USA who was not familiar with overseas buying processes we would not have got our perfect home as quickly as we did. Thank you Julie. Julie was our agent for buying our first house and she was fantastic! She listened closely to our needs, showed us homes that expanded our opinions, and ultimately found us our dream home. She is punctual and a great communicator who explained our lengthy closing process very well. We would absolutely use Julie again as our agent for buying or selling a house. Julie found us a great house in an awesome location. We found her to be extremely diligent in every aspect of our house hunting from finding the right house to being a fantastic negotiator, even in our extremely competitive market. She is very professional, has a great personality and it was a pleasure to work with her from beginning to end! So, I can finally say that I own a new home!!! I wanted to acknowledge all the work you guys did. This was not easy for any of us; I have never worked out a deal where so many little things had gone wrong, even to the very end. But, you guys made it happen. Fixing all the issues, clearing all the hurdles and overcoming all the obstacles. I want to thank both of you for your perseverance. And of course putting up with a very difficult customer (that was me! 😉 , and for that I want to praise you for your patience. This was a very humbling experience, and I can always use some humility.On top of all that, you left me a set of beautiful gifts (that was very sweet of you) to spice up my new home and for all these I will be ever grateful (though I would not sign more papers at this time). I will stay in contact. Cheers!! Julie, Once again my family and I would like to thank you for all your time in helping us find the perfect home for us! We appreciate all you have done for us to get a fresh start for our future. Thank you! Julie has a reputation as one of the “good ones” – an agent who is organized, does her homework and whose professionalism continually ensures a smooth transaction. Her kindness and positive outlook spills over into her professional life thru her sincere interest in her clients and the role she assumes as advocate for them thru every step of the process. Both clients and those of us who work with her within the real estate and lending industry are the beneficiaries of her commitment and expertise. Her willingness to embrace and utilize technology is yet another way she maintains her spot ahead of the curve. I confidently and sincerely recommend Julie not only as an agent but as a mentor for anyone looking for an example of stellar professionalism, industry insight and willingness to go above and beyond for her clients. Julie exhibits wonderful qualities as a Realtor. Her clients are always the most educated, prepared and relaxed clients at the closing table and that makes Julie such a pleasure to work with. Her friendly banter with her clients displays the great relationship they have developed over what can be a stressful process. 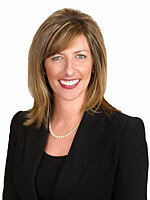 Any buyer or seller would be lucky to have Julie represent them for their real estate transaction! Not only is Julie a great Realtor that goes above and beyond to be sure her clients receive the highest level of service, she has also kept me in the loop of many new trends and is always using the cutting edge technology in real estate. If you are looking for a hands on Buyers Agent that will not stop until you find your dream home Julie is your perfect match. Julie was great from the beginning. She was happy to help in our search and she did not pressure us into making a decision. We dragged her across the state searching for the right house. She worked hard for us when it came down to decision time. She is so personable which is nice when searching for houses but also comes in handy as other agents, sellers, inspectors, etc work well with her. I was impressed with the research that she was able to dig up on houses regarding days on the market, other potential buyers, sellers “need to sell” etc. Overall we had a great experience and I would recommend her to others. I am writing this letter in regards to the outstanding customer service, perseverance, determination, and follow through that I received from Julie Reddington, Kris Andrea, and Jim Michael. All three of these individuals in one way or another went far above and beyond to help assure that my pursuit in purchasing my home went smoothly and happened on time. There were many obstacles that presented challenges to all involved in the transaction which most definitely would not have been overcome without the superior directional and organizational skills of Julie Reddington our Realtor, and the outstanding service that both Kris Andrea and Jim Michael provided to complete the loan involved. I would recommend any one of these individuals to any person looking to buy a home, get a loan for a home, or needing to have a home inspected. My story started with Julie, myself, and my wife searching for a home in Bailey Colorado. The first search we went on started out with a challenge Julie’s vehicle got stuck in the snow on a dirt road in the middle of the Pike National forest. Well you could imagine most people would have been upset, stressed, and ready to call it a day, but not Julie. She sent my wife and I on our way to find the next home on the list and continue our search while she ordered up a tow out of the snow. She had our day planned and all we had to do was follow what she had laid out. This was very exciting as the very next house we looked at ended up being our dream home. Once Julie’s car was free she carried on like nothing happened. We laughed had a great fun day, and continued to look at all the properties we had identified as one’s we wanted to see. She did not want to stop without making sure we had the home of our dreams. It still ended up being the second house we saw even though we looked at 3 more properties. Julie is thorough with everything she does and has built a team around her that could not be challenged by the most savvy veterans. Her follow through and incredible personality made the whole experience a delight even when things got rough. I will never use anyone else in selling or buying any property, and if you choose to be ready for disappointment. I honestly do not believe there is a better Realtor any where I love Julie and so does my wife! All referrals Julie had given me like Kris for my loan officer and Jim for my inspector were absolutely outstanding. Jim actually did my inspection with almost no notice because another company I found on my own stood me up. In addition he gave me a break on the cost due to the other companies failure, and was a pleasure to deal with all the way around. He is so thorough and professional that he was able to help me save money and time through the whole inspection process! I can not say enough for Kris Andrea my loan officer he in every way goes above and beyond, and did not let my deal fail when the lights went out. He is creative, determined, organized, proactive, and knows the business like the back of his hand. I would not use anyone for any of these services or to even get consultation about my home without using there knowledge. I will be a lifetime customer and appreciate everything they do!!! Thank you all and I wish each of you the best in all your endeavors. I have to go enjoy the beautiful mountain home you were so diligent in helping me obtain. I know you all know the diligence I showed to get to that point, but don’t for one minute think I do not recognize yours in return! After recently separating from my husband Julie helped me find a new home. Even though the situation was potentially awkward Julie was respectful, professional, and courteous toward both of us. I felt she went above and beyond by keeping me updated every step of the way with the process (the property was a foreclosure,) and she was always available to answer any questions and address any concerns I had – which were many. When it comes time to move I will definitely call on Julie again!